Installatron has quite a few options for automating the process of backing up your site. Keeping regular backups is a safeguard against any number of issues that might come up from automatic updates that happen to be incompatible and break a site to malware or even changes made on accident. When you install an application on Rockaway Hosting using Installatron it is automatically set to backup anytime there's an update to the software. To demonstrate this I chose Dropbox as my backup location and clicked Save at the bottom of the screen. 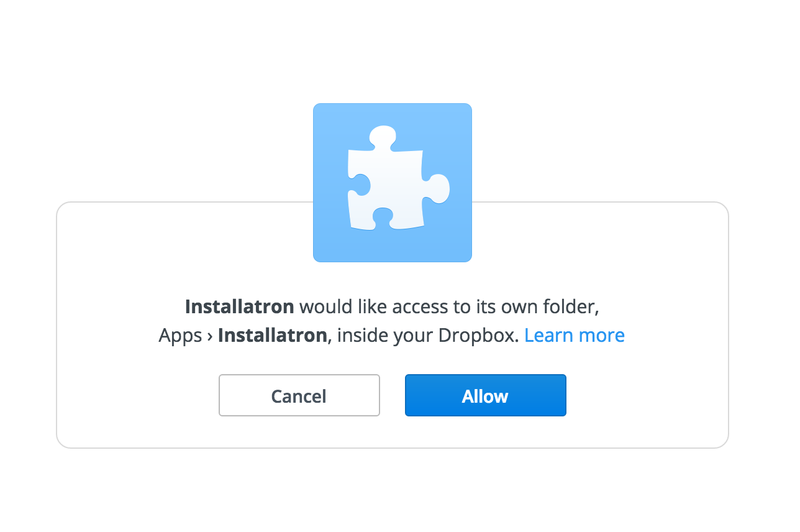 Upon saving a window prompts me to authenticate to Dropbox so Installatron has access to my account. This compressed file stores not only all of the files for that installation but also a complete copy of the database so you can take it with you to another hosting provider as well as restore a copy right from Installatron in the future if the need arises.